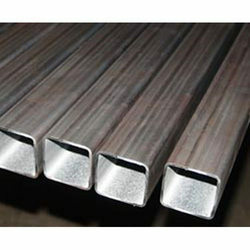 With the help of our distinguished employees, we have established ourselves as a leading trader, supplier and wholesaler of an exclusive range of Mild Steel Square Pipes. As per the clients' requirements, these products are offered in varied dimensions, sizes, end diameters and thicknesses. In order to ensure their quality, these products are tested on different parameters under the surveillance of our diligent quality auditors. 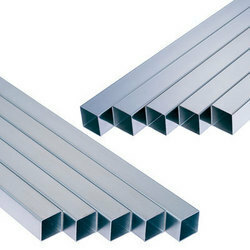 Aiming at highest degree of client-satisfaction, we are engaged in offering a wide range of Stainless Steel Square Pipes. These pipes are manufactured with ultra-grade stainless steel by our vendors in order to ensure their excellent performance and reliability for use in the construction industry. To suit the demands of various industries, these products are offered in varied sizes, designs, end diameters and thicknesses. We are providing an excellent range of Mild Steel Round Pipes to our clients in order to meet their special requirements. These products are highly demanded in various industries for their excellent performance, customized design and capability to withstand heavy pressure. We are making these products available in the market at market leading price range and ensure timely delivery direct at their destinations. 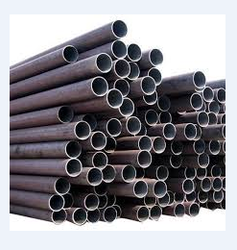 We are engaged in offering high quality Industrial Mild Steel Pipes to the esteem customers. 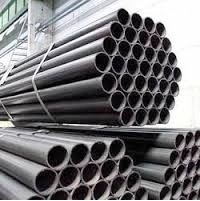 Mild Steel Pipes offered by us are widely used to fulfill various needs of structural, mechanical, engineering and general purposes in an efficient manner.